Founders of Angry Birds are ready to present the next masterpiece – a puzzle based on real physics under the name Amazing Alex. The game is the processed version of the game Casey’s Contraptions which let out in 2011. The game is very much pleasant to people from Rovio thanks to puzzles in style of the known The Incredible Machine series and lovely animation style and the company decided to redeem the rights to the original. 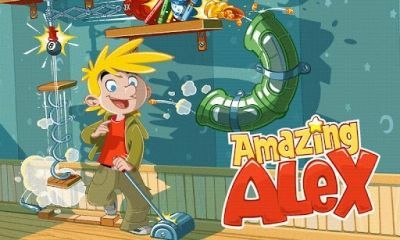 It is known that in Amazing Alex 100 levels expects us in the beginning, passing which players will need to brag of good ingenuity because each level is the curious puzzle based on real physical models. Required Android 2.1 and higher.